Cherry Hills Village Real Estate is a city suburb of Denver where the median sales price of all real estate is $1.04 million and the homeownership rate is nearly 100%. 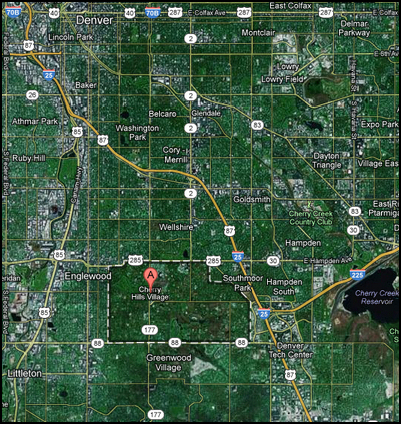 Cherry Hills Village is centrally located. It’s about a 20-minute commute to the downtown area and a 10-minute commute to the Tech Center and Cherry Creek. The high rating was based on attributes including access to amenities such as grocery stores and banks, public transportation including light-rail, its proximity to good schools, ease of commuting by car and community safety.